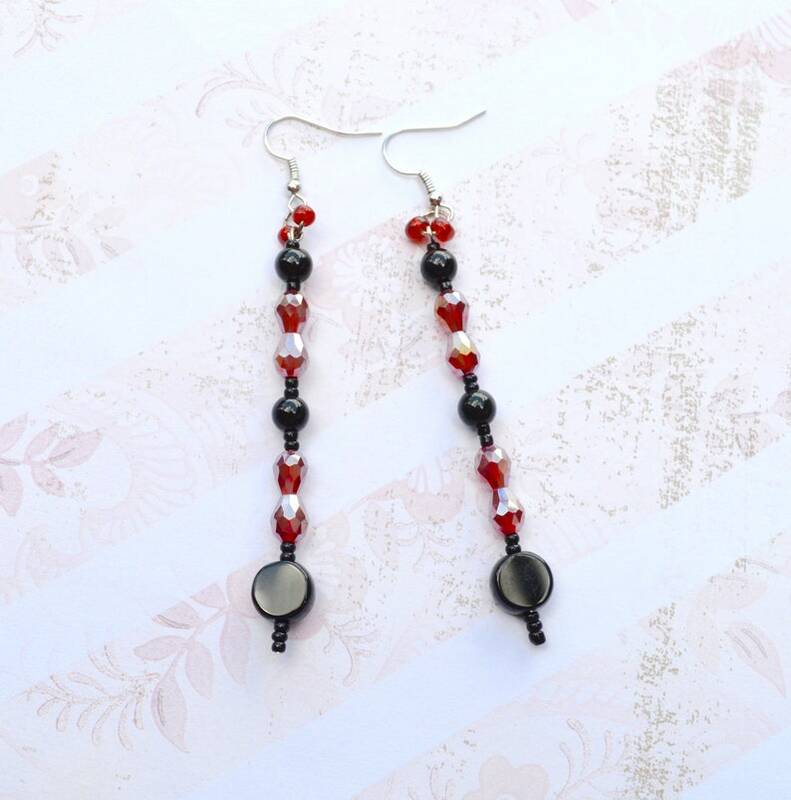 These earrings are made of crystals and black beads. They are drop earrings and will also match with a couple of my bracelets that I have listed. They are less than an centimeter wide and the total length is 9 cm. They are beautiful. The camera couldn't capture the sparkle in them. These would be beautiful for a dressy night out or with jeans and a top.